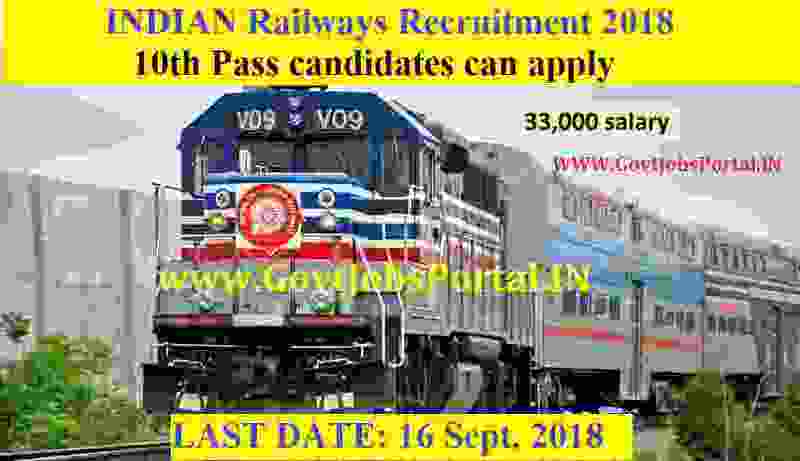 Konkan railways Recruitment for various posts, for which all fresher Indian candidates can apply online. There are total 100 vacant positions which are going to filling up through this Konkan railways recruitment process. Those who are looking for Railways jobs in India can apply for this recruitment process online. The various vacancies which are going to filling up through this recruitment process are “ Track man, Points man & Khalasi”. All these Group-D job profiles are going to be filling up through this railways recruitment process. More information related to these Government jobs for 10th pass candidates is given below in this article. Read the whole article carefully before applying online for this railway recruitment process. What is the Eligibility Criteria for applying this KRCL Recruitment? Indian fresher candidates who have passed in their 10th class examination can apply these Railway jobs in India. Those candidates who have passed in 10th as well as age in between 18 to 33 years are fully eligible to apply for this KRCL Recruitment 2018. What is the Process for Applying these Railway jobs? 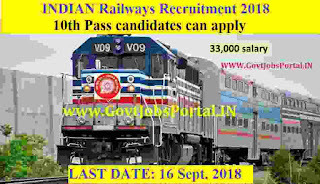 Those who are interested in these Railway jobs in India can apply for this Konkan railways recruitment through online process. Under Important link section below we share the direct link for applying as well as the official website link. You can visit to the official website and check inside that website about the online application form as well. For more detail information check IMPORTANT LINK section at the last of this article. 17TH Aug. 2018 is the opening Date to apply. 16th Sept. 2018 is the Last Date to apply. Disclaimer: We took this information from the following website: “http://www.konkanrailway.com/”.